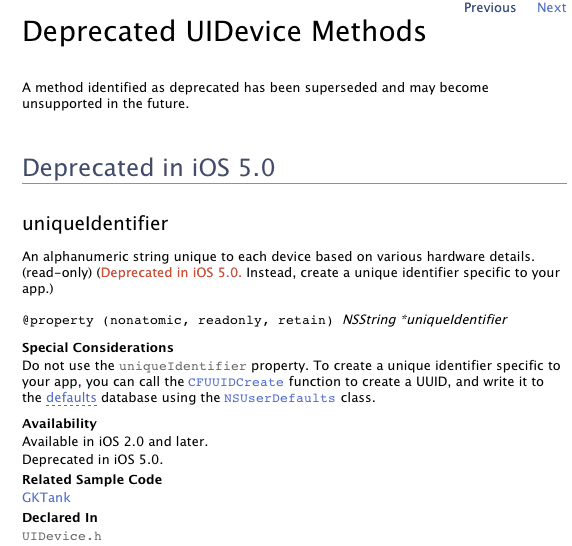 In a recent documentation, Apple has warn developers that it is in the process of of disapproving access to unique device identifier(UDID) that allows to identifies each iOS device uniquely, reports Techcrunch. Apple most likely did this to protect their devices users, and piracy concern. The UDID is used in many apps to identify its users and their data. Ad networks uses this to deliver targeting ads. Apple now reccomends developers to create a UDID specific to apps. It’s likely that Apple itself will continue to use UDID for their own apps such as iAds and GameCenter. “I guarantee Apple will not stop using UDID,” predicts one mobile industry CEO. If Apple does continue to use UDID for itself but denies it to developers that would be an “extremely lopsided change.” It would give Game Center and iAds yet one more advantage over competing third-party services.